Music listening started with mono recordings (or single channel), then moved to stereo (dual channel), and then to multi-channel speaker systems. Spatial music is the next generation of music listening experience with headphones where the sound is positioned around you just like we hear it in real life. Recent advances in sound positioning algorithms (generally called HRTF) make the experience much more realistic and are opening up new experiences and opportunities in music and sound production. 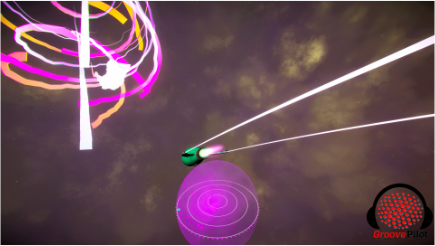 Groove Pilot is an interactive spatial music experience taking the old music album format and launching it into virtual space. 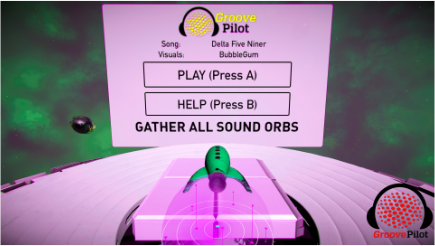 Collect the sound orbs and complete the song by unlocking a new layer of the music track. Each layer of music is located in 3D space so is mixed relative to all the others as you move around, dynamically changing the music mix and experience on the fly. Choose one of 15 visually stunning visual effect profiles to enhance your experience. 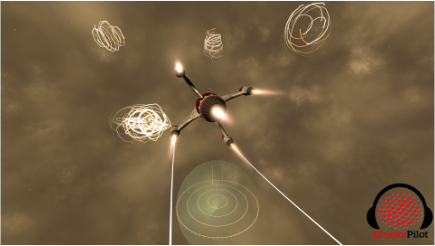 Each sound orb/music track/stem is also visualized procedurally in different ways with real-time signal processing to drive reactive graphics. 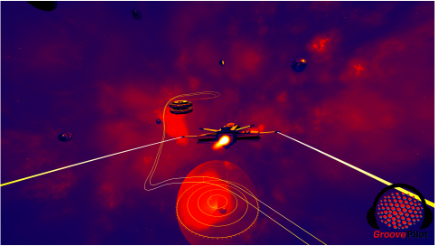 Background effects and colors are also procedurally generated for each new track. 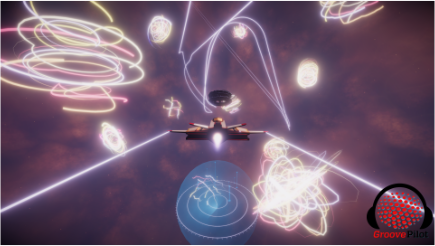 Groove Pilot was designed in collaboration with students from the Australian Institute of Music’s Game Ensemble course (and others) as a prototype to understand how to compose music for a spatial music experience. Use it in an educational setting to explore aspects of spatial music composition and think about ways to compose new music and audiovisual experiences for Mixed Reality. Check the music album out here . Read more about the development of Groove Pilot at the project page here. 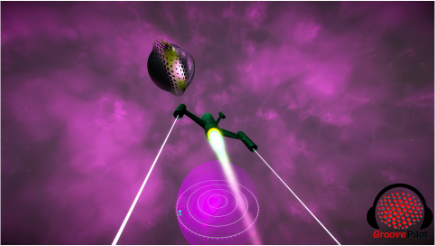 Fly into the sound orbs to unlock the music layers. 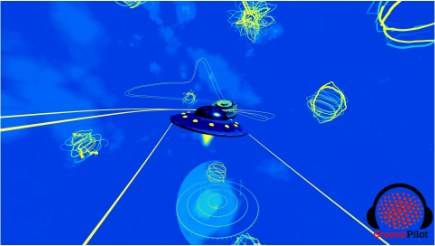 Use the 3D radar to locate locked sound orbs (blue), unlocked sound orbs (green) and the take-off platform (yellow). Start a new song by diving into the take-off platform when you feel like changing it. 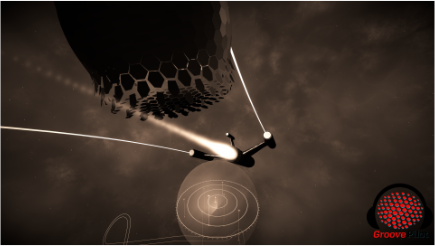 If you fly too far away from the center you will be automatically returned to the start position. An XBox360 type controller is required to fly Groove Pilot. If you have any questions, contact us, we are here to help!